India and Matt thought all their problems would come to an end once they found Chronos. But the watch magician brings with him as many questions as answers, and a load of trouble. To fix Matt’s magic watch, they must find an old diary that once belonged to a doctor magician murdered decades ago. The hunt drags them into a sordid mystery involving two of London’s craft guilds. With old and new enemies determined to stop them, and long-held secrets unearthed, Matt and India must work together better than ever. But as the reason for India’s strangely strong magic is revealed, she wants to draw other magicians into the open, while Matt wants to hide magic to keep her safe. Her plan backfires. His plan shatters. And danger comes to their door. Finally, the search is over, and Chronos is discovered, throwing everyone for a lop. While Matt and India end up working continually in close proximity, it becomes harder and harder for them to deny there may be something between them. Seeing Matt and India go through so much together, with interviews, and dealing with friends and family, it is almost silly how uncertain she seems of his intentions. Nevertheless, there is surely going to be more turmoil to face in the future. His family is becoming more easily to hate with every book, and it is my hope that their stupidity doesn’t cause his eternal unhappiness. 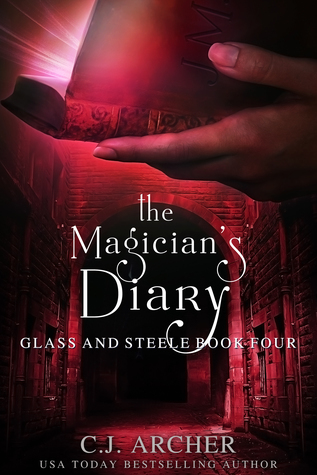 This book seamlessly showcases the two opposing sides of Matt and India’s lives as they try to live in polite society but also have to skirt around magic without revealing India’s abilities. As they further their connection to each other, India is caught between what she wants and what she feels would likely be best for Matt’s future– something that many will relate to within their lifetime. Seeing India become a stronger and more self assured woman has become quite a pleasure, and while she isn’t the same level of outgoing as Willie, she’s clearly willing to stand up for herself and the people she cares about. Because she is well mannered and intelligent she is able to get answers from people that Matt’s brashness wouldn’t work with. Embedded in this series is a great lesson about people who are sick or have some sort of illness/disability, that despite whatever setbacks the person might have from it, they can’t consider it something that should hold them back. Another message in this particular book is that medicines don’t always do what they claim to, and it’s not right for pharmacists to claim they will. Cyclops has an interesting past that was great to learn about, and I look forward to seeing if any relationships develop (though preferably NOT with Charity). Through learning of his fears of returning to America, one must wonder if all of Matt’s friends have similar issues, and if the posse will be able to overcome their individual problems to be able to develop lasting relationships and futures with others. 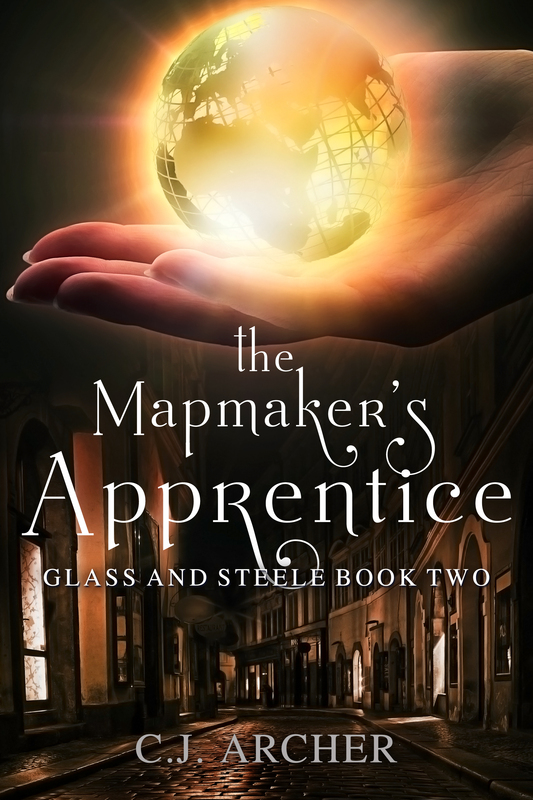 When an apprentice from the Mapmakers’ Guild goes missing, Matt and India are employed to find him. 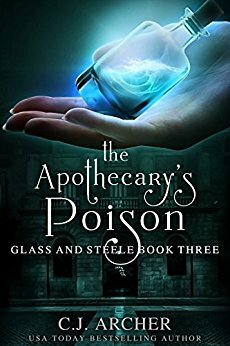 Going undercover as a married couple, they discover that not everyone at the guild is what they seem, and the lad’s unearthly maps caused jealousy, suspicion and fear. With one of the apprentice’s magic maps in their possession, India and Matt must use their wits and India’s fledgling, untried magic to find him. 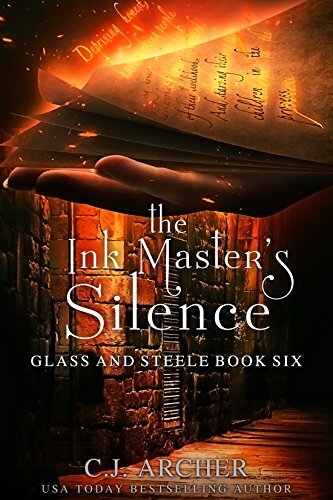 But the more they investigate, the more sinister plots they uncover, including a link between the Mapmakers’ and Watchmakers’ Guilds, and an ancient magical treasure buried beneath the streets of London. As the net of suspicion widens and enemies draw closer, it’s not just the apprentice’s life that’s in danger, but Matt’s too. 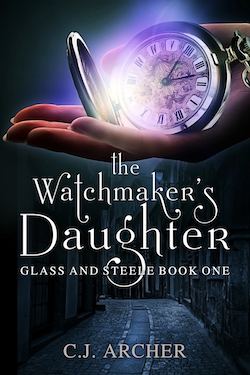 Someone will go to great lengths to prevent him discovering the name of the man who can fix the watch keeping him alive. Great lengths indeed. I will start out by saying I did find some grammatical issues in this novel, though they did not detract in any way from the story being presented. The relationships really endear me to this series. There is so much more than what is being said when you read between the lines of interactions between everyone. Learning more about the hereditary passing of magic was quite useful, and it’s been quite enjoyable learning more about the various types of magics as India does. It’s refreshing that India seems to care so little about romance, though there is clearly something brewing. 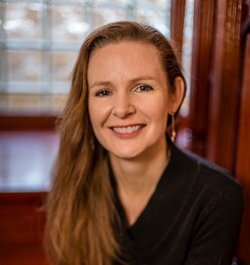 She seems resigned to being a spinster, but she doesn’t allow herself to make poor choices, instead using that situation to her advantage, acting as a strong, independent woman. Romance is still possible for her, but she doesn’t intend on seeking it as a solution for what to do with her future, which I really adore. I had not figured out the mystery by the time the plot wrapped up, though I had suspected partial involvement by the time it was revealed. I believe the special collection mentioned in this novel will potentially play a pivotal role in one of the future books in this series, though I could be wrong. I really enjoyed seeing India become even more independent and knowledgeable in this novel, and I would recommend this book highly.